Sleep is an important part of your daily routine. In fact, it is important and essential as food and water. Without sleep it is difficult to concentrate and maintain balance. it is harder to generate new memories when you lack sleep. You may have new ideas that you want to execute, but lack of sleep will make you ineffective and lackadaisical in executing them. Therefore, good sleep can improve your concentration and productivity. But, as important as sleep is, moderacy should be applied to it. 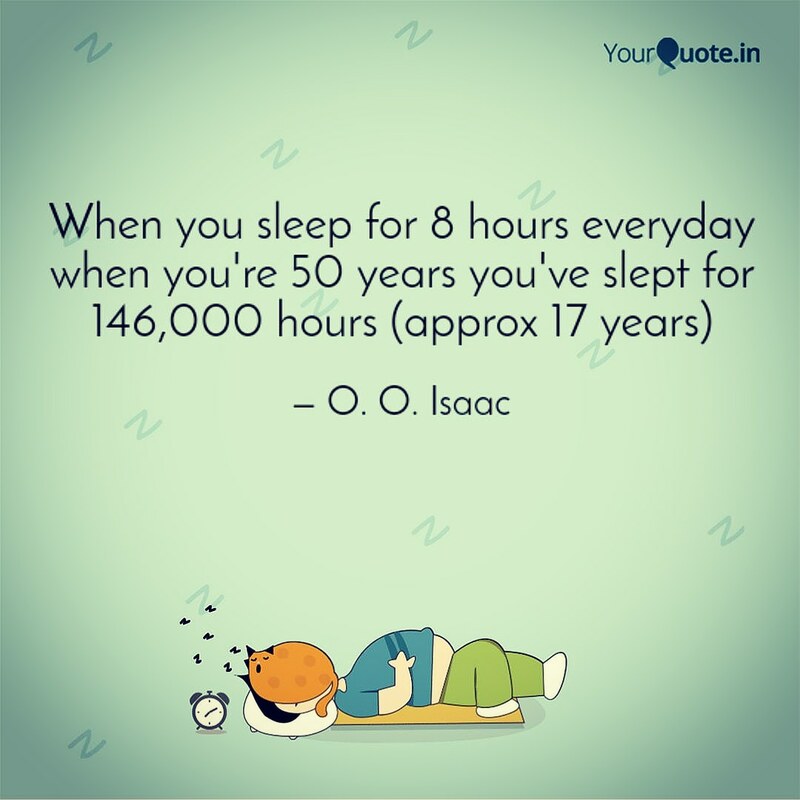 When a man sleeps for 8 hours and above everyday without exception, it is questionable. Because that's not the pathway to success and fulfillment. Sleeping for 8 hours everyday as a routine is more or less a bad habit, and isn't a habit of highly successful and impactful people. I have not seen any great man with a routine of 8 hours and above sleep schedule. And if there is, friends, such greatness is questionable, in fact, that's not greatness but mere fame. Greatness is different from fame. All great men are famous, but not all famous men are great. There are several, countless famous people people on earth, but we know, not all are known as impact makers. Don't thrive to be known just for your achievements, thrive to make impact. Of course, you know I'm not encouraging you to lack sleep. I cherish my sleeping time alot. It's always a special time for me. And as I said earlier, it is harder to generate new memories when you lack sleep. 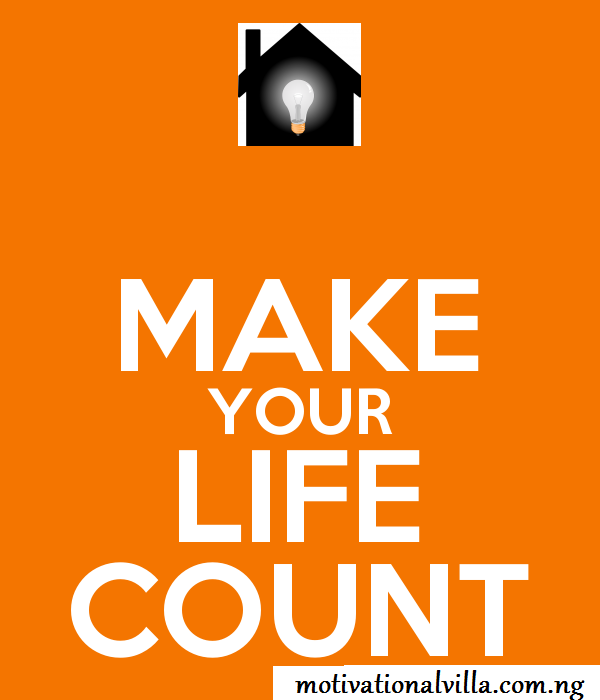 But do you know, it's not the quantity of sleep that matters, but the quality. Research shows that a chronic lack of sleep, or getting poor quality sleep, increases the risk of disorders including high blood pressure, cardiovascular disease, diabetes, depression, and obesity. So, you can sleep for 9-10 hours and still not get the best of sleeps. Good, healthy sleep means feeling rested upon waking. It means not having chronic bad dreams or nightmares. 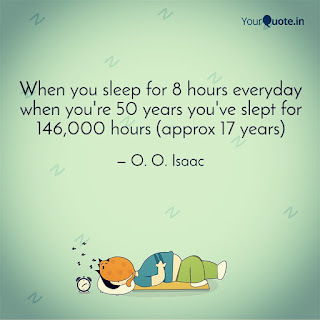 Now, to the heart of the matter, as a youth, if you sleep for 8 hours, how many hours will you spend sleeping when you're old, 10-12? You see, if from the age of 18-30 you don't know your purpose in life, you are behind schedule. Now, at that age range, if you don't know your purpose, when will you now start working towards it. You can't work towards a purpose that is not discovered. How will you be comfortable sleeping for hours when you've not discovered your purpose? Others are working towards their purpose but you're sleeping. Others slept for 5-6 hours because they have a sense of urgency and are tired of the status quo but you're sleeping. Wake up and work. Yes! I am motivating you! Wake up, work. Take responsibility. There's alot to do. There are times, I couldn't sleep well because I seriously have burdens in my heart. There are impacts I want to make. There are books to write. There are articles to write. There are videos to watch. There are movies to watch. There are books to read. There are people to meet. 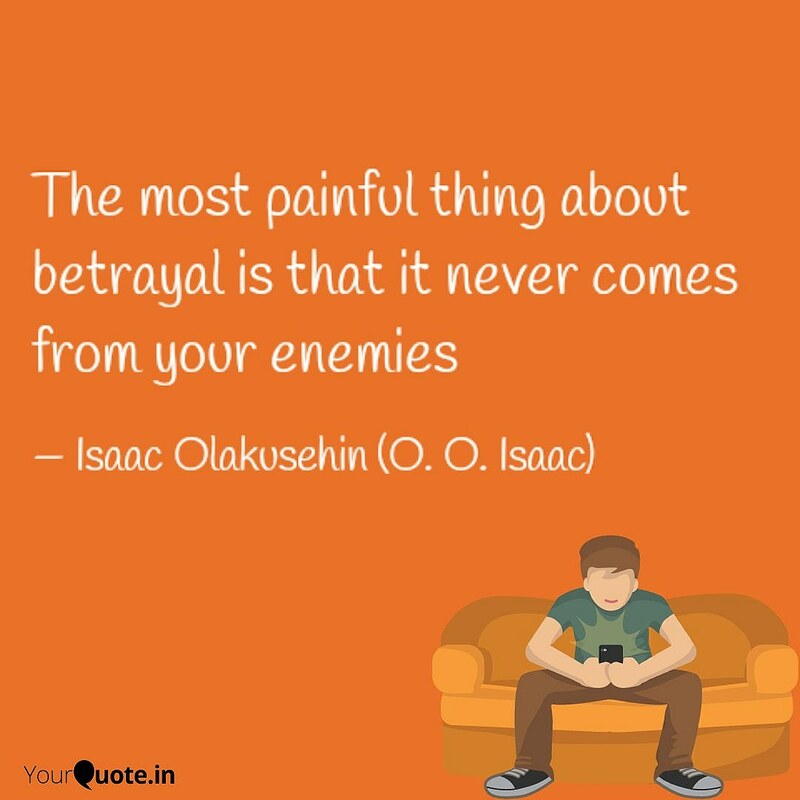 There are things to learn. There are skills to acquire. You'll never get to your destination as a 'layman'. You must be equipped.